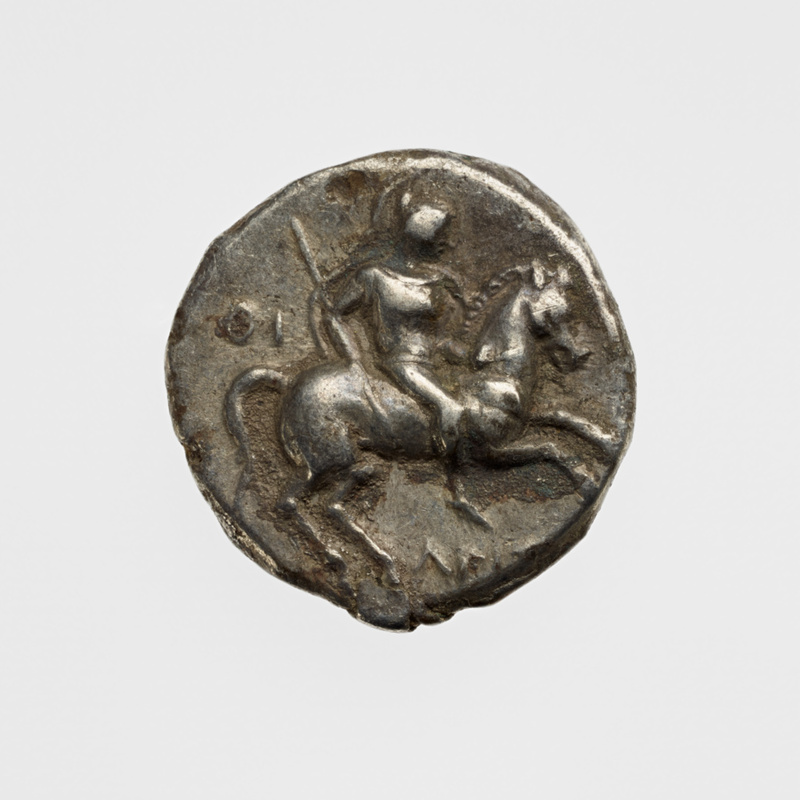 Inscription: Obverse: THI to left, and below horse, ARIS [TOK] in Greek. 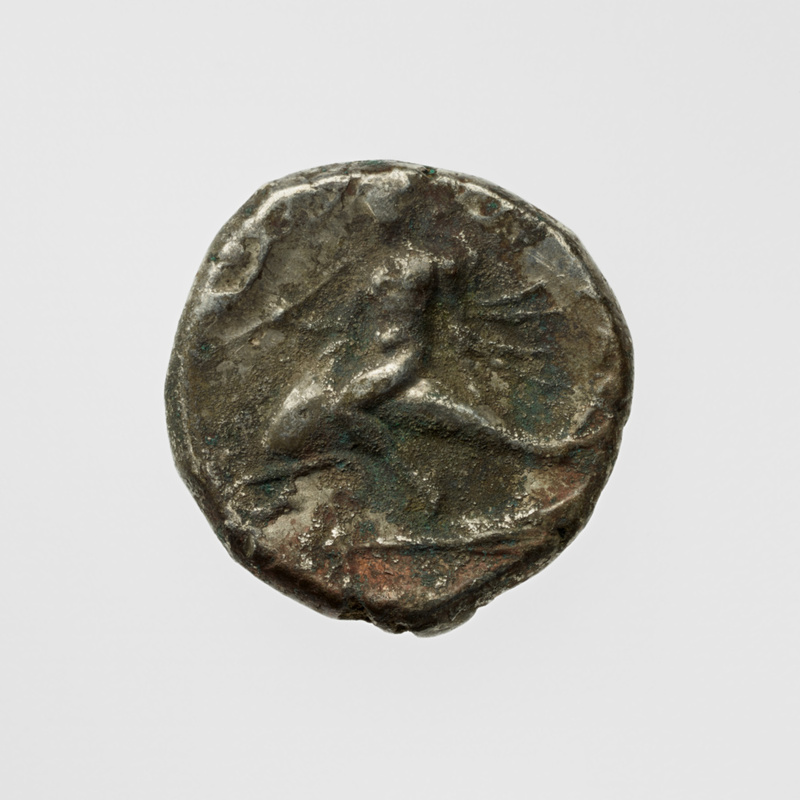 Reverse: TA[RAS] inscribed in Greek. Dr. Jane Cody (Studio City, California), donated to the J. Paul Getty Museum, 1982. Jentoft-Nilsen, Marit. "A Fourth- and Third-Century B.C. Hoard of Tarentine Silver." The J. Paul Getty Museum Journal 12 (1984), pp. 167-172, p. 169, no. 26, ill.
Fischer-Bossert, Wolfgang. Chronologie der Didrachmenpraegung von Tarent 510-280 v. Chr. (Berlin: W. De Gruyter, 1999), p. 37, no. 35 (as the "Getty Hoard").